Hi everyone! 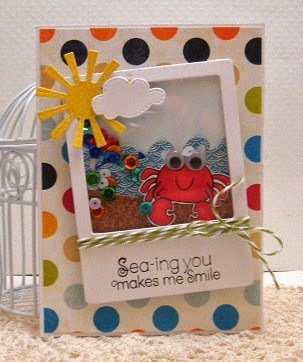 Today, I am sharing my shaker-style card using the new Seas the Day clear stamp set by Whimsie Doodles available at A Jillian Vance Design. What a fun card Cathy! Love it!